Is Your Web Design Balanced? 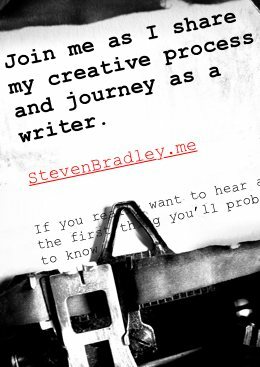 Home / Blog / Web Design / Is Your Web Design Balanced? Balance is important in life. Work and play; diet and exercise; yin and yang. A beautiful face is often a matter of the right balance of features. Balance is also a very important design principle. It will help you create an aesthetically pleasing whole and help you better control flow in your designs. I’ll leave it up to you to find balance in your life. You can read this post to find out how to create balance in your web design. Let’s take a step back from design and think about physical balance. Picture a lever with a fulcrum at the midpoint; a see saw perhaps. If you place two equal weights the same distance away on opposite sides of the fulcrum, the lever will balance. We can use a simple formula to express this. When the force x distance on each side of the equation is equal, balance is achieved. In the example above the force (weight) of each object is the same as is their distance from the fulcrum so we have balance. What if the fulcrum is off center. In that case the force of one of the objects needs to be increased in order to achieve balances. An adult on a see saw must move toward the center if there’s a child on the other side. Nothing too difficult to understand even if I did lapse into physics momentarily. Balance in design works the same way as a lever or see saw. Your design will have a vertical (or horizontal) axis and the weight of the various elements on either side of the axis and their distance from the axis will determine if your design is balanced. There are two kinds of balance that correspond to our lever images above, namely symmetrical and asymmetrical balance, but first what gives an element visual weight? The major difference in design balance and physical balance is that your visual elements don’t have a physical weight. They do however, have visual weight. Symmetrical balance is like having our fulcrum in the center of the lever. To achieve balance we need to have elements of equal weight on both sides of a central axis. Symmetrical balance tends to be more formal and more static. It evokes feelings of consistency, elegance and classicism. Think of a wedding invitation. They tend to use centered text in part because this helps achieve symmetrical balance, which leads to feelings of formality and elegance. Exactly what a wedding is expected to be. Symmetrical design balance is easy to see and relatively easy to achieve. 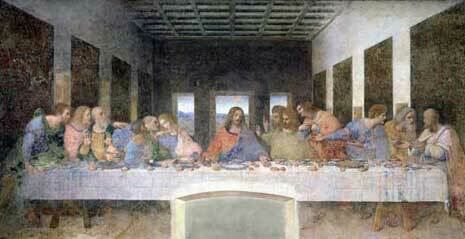 Leonardo’s Last Supper is a great example of symmetrical balance in art. For everything on the left side of the painting there’s something of equal weight on the right. The entire painting is balanced around the central figure of Jesus Christ, which makes perfect sense given what the painting is about. 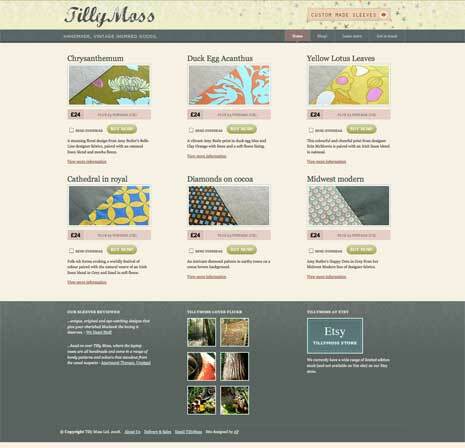 It’s easy to see the balance in the home page of Tilly Moss. Equal weights exist on each side of the middle column. The central part of the page is symmetrically balanced both vertically and horizontally lending elegance to the products. Asymmetrical balance is like having our fulcrum off center. Unequal weights need to be placed on either side of the fulcrum in order for balance to be in equilibrium. Visual weight will not be evenly distributed around a central axis and often you’ll find one dominant form on one side of the axis offset by several less dominant forms on the other. Asymmetrical balance is more dynamic as there’s more visual variety in design elements. It’s more interesting because of that variety, but also more difficult to achieve. Elements in asymmetrical design will have more complex relationships between them and the overall design will use more whitespace to equalize the balance. Asymmetrical design evokes modernism and feelings of forcefulness, vitality, and movement. 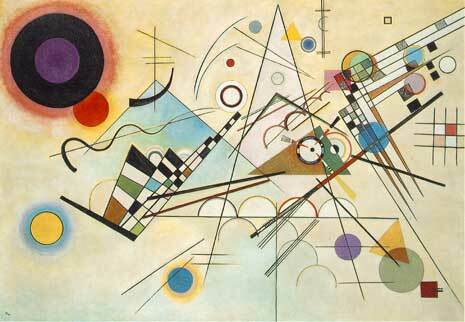 In Kandinsky’s Composition #8 the dominant element is the dark circle in the upper left. No single element on the right side of the painting carries the same weight as this circle, but the dense line work on the right side carries enough weight together to give a counterbalance to the painting. Notice how the left side of the painting contains more whitespace, since the circle already carries enough weight for that side. 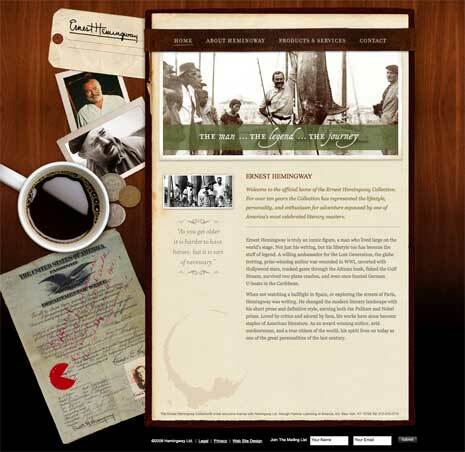 Equilibrium is achieved on the home page for the Ernest Hemingway Collection, by balancing the larger content area on the right with a variety of objects packed closer together on the left. The darker color of the elements on the left adds to their weight as does the idea of there being a full cup of coffee in the center of the left hand side. Would the home page feel as balanced were the coffee cup image at the top? The bottom? Radial balance – all elements radiate in or out from the center. Think beams of light coming from the sun. It’s easy to maintain a focal point in radial balance as it will always be the center. Mosaic balance – many elements on the page create a sort of balanced chaos. Think of a Jackson Pollack painting. Mosaic balance lacks hierarchy and can look like noise. It’s harder to define a single focal point in all the chaos. As in life balance in design is important. It’s one of the principles of design. A balanced design has a unity of composition and helps the design make a single impression on the viewer and just feels right. In unbalanced design the individual elements tend to dominate instead of the whole. The parts become more visible and there are many messages instead of a singular unified message. Your own judgement can go far in achieving balance in your designs. Train your eye to see balance in the compositions of others. Which elements of the composition look heavier or lighter and why do they appear that way? By training your eye and learning to control the weight of different elements you’ll be able to achieve balance in your compositions and create more appealing designs. Nice one. Very informative. Thanks.